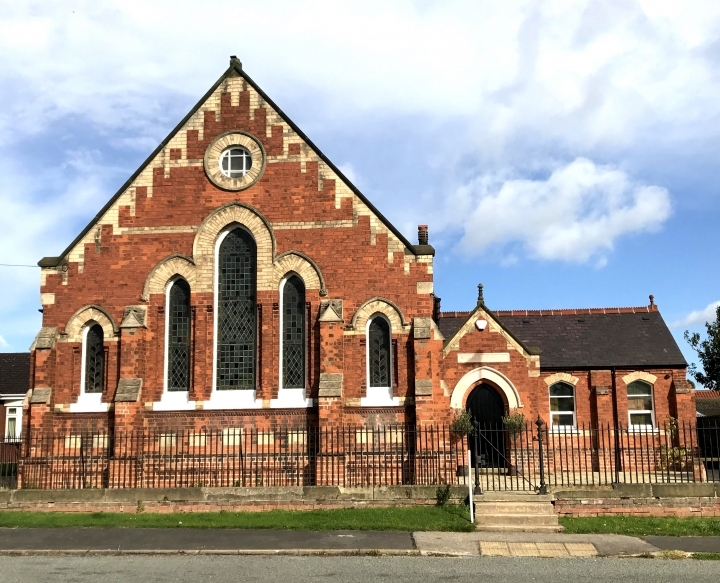 Six months and 14 skips later all refurbishment work is complete on Pure’s second UK office, a former Methodist chapel in Lincolnshire built in 1895. While a former chapel may not be everyone’s idea of a perfect office environment, it sits well with Pure’s brand ethos, ‘we see things differently’. Purchasing the building was just the beginning of the story. 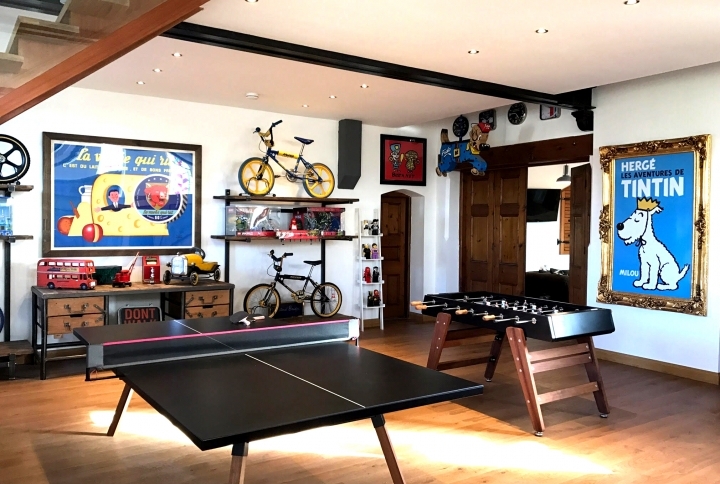 To convert the space into a dwelling, the property was stripped of original furnishings, rewired and re-plastered, windows throughout the main hall replaced, the kitchen and bathroom modernised, an oil central heating system installed and, the biggest job, a mezzanine floor constructed over the nave. 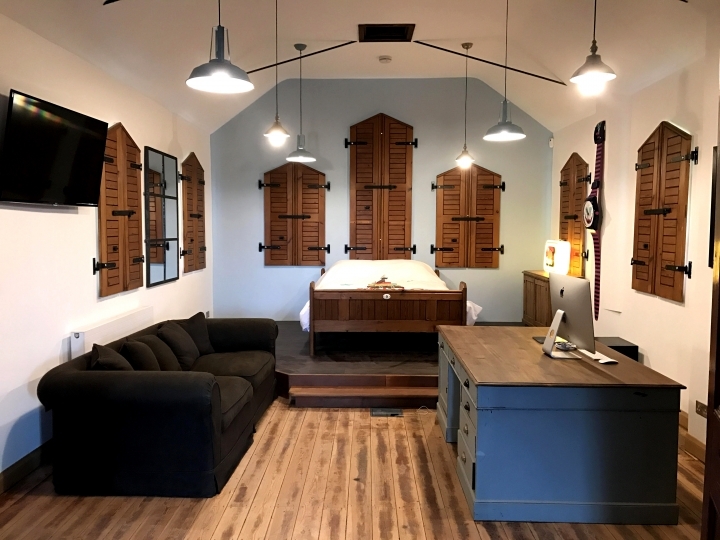 Quirky touches include recycling the pews into window shutters and a bed. The exterior of the property was also remodelled, with a small portion of the building knocked down to provide access around the whole property which is now fully paved with its own wishing stool and willow tree. Why should an office space be limited to desks and chairs? Every effort has been made to turn the chapel office into a shrine to design and it houses an array of interesting items including original movie posters, 1980s BMX bicycles, an extensive collection of Swatch watches, wooden arcade machines, Lego shop displays and vintage metal toys, along with many other items that are sure to bring back happy childhood memories. When is a meeting table not a meeting table? Answer: when it doubles for ping pong. There are more goodies on show on the mezzanine floor. 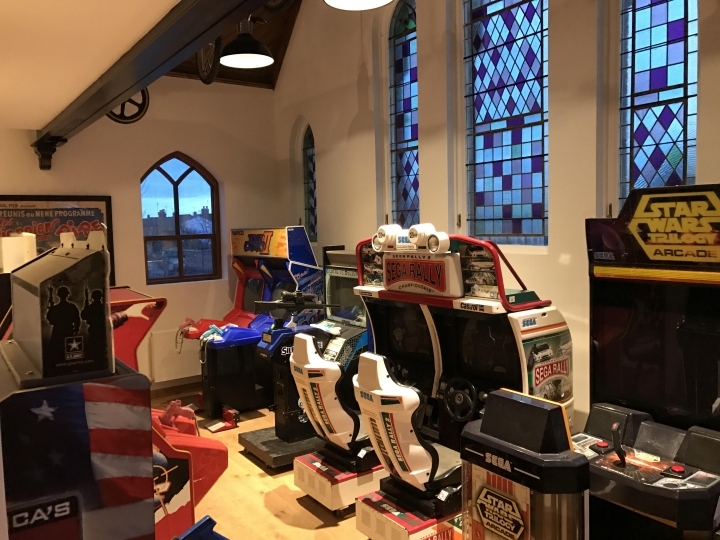 A large portion of the downstairs space is filled with iconic arcade machines dating back to the 80s and 90s, currently 12 in total. So, after briefings, clients can enjoy a quick shoot ‘em up on Time Crisis or race each other on second series Twin Sega Rally. 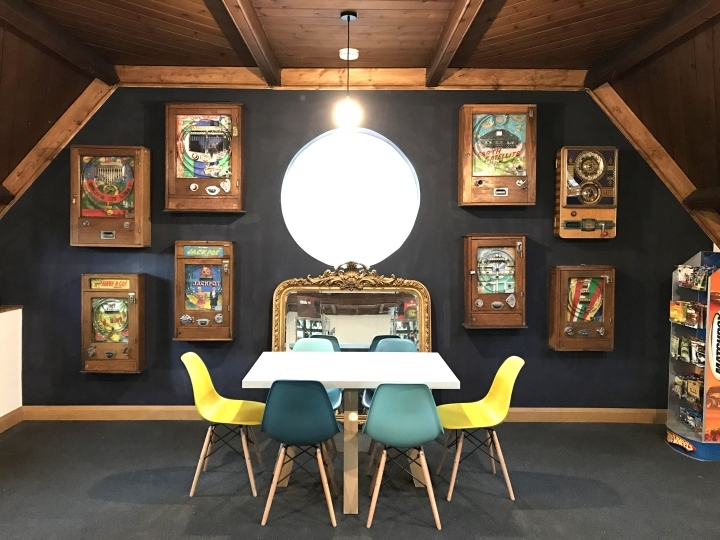 The natural character of the building coupled with the sheer breadth of items to interact with makes the chapel an inspiring place to host meetings and develop brands, with clients invited to utilise the property’s unique ambiance for creative brain storming sessions.